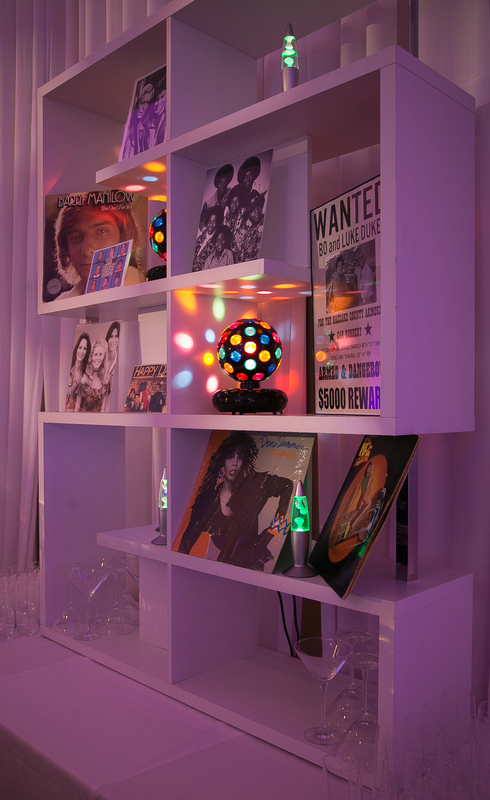 The different eras depicted from our most recent decades event were 70’s, 80’s, 90’s, and 2000’s, with each era separated as themed lounges. 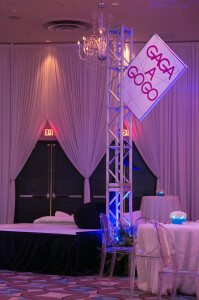 Look-a-likes and/or dancers were posed atop individual risers for each era, hence the themed titles(70’s-Lava Lounge, 80’s-Club Neon, 90’s- Rhythm Room, and 2000’s-GaGa-a-GoGo). 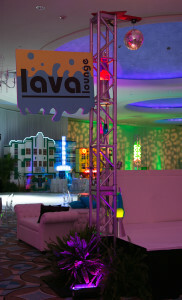 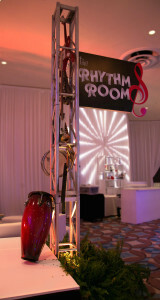 Simple vertical box truss housing those era elements became the fun nostalgia including huge, 30” active lava lamps, authentic musical instruments, authentic neon and the like. 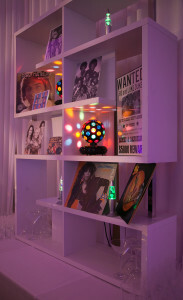 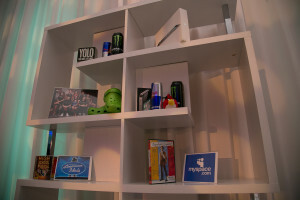 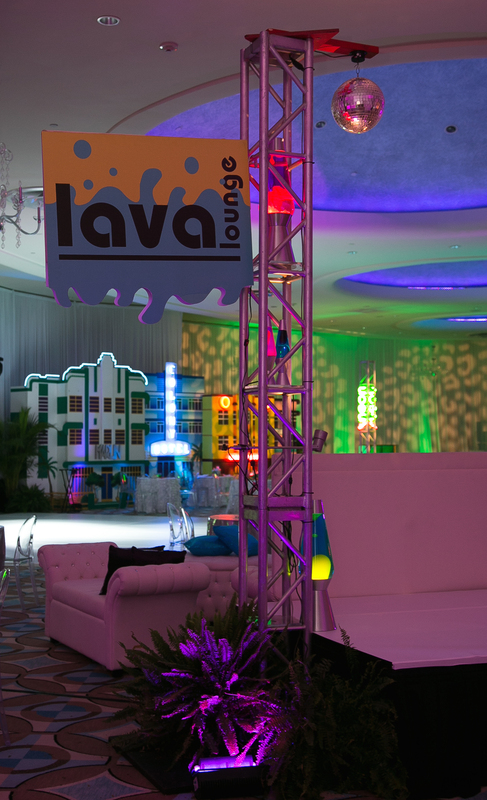 Featured inner-lit acrylic bars for each area carried through the color schemes, with impressive back-bar shelving units displaying a wild assortment of era-themed gak. 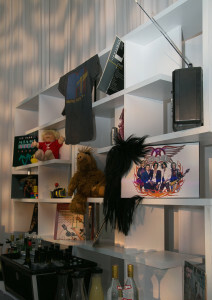 The team went on a week-long ‘digital scavenger hunt’ and a road trip or two to gather everything specific to each era, which included big hair band wigs, an original MTV t-shirt, boom-box, album covers, even “jellies” shoes, and TV show promo photos!